As a young REALTOR® in the late 1960s and early '70s, Dave Liniger looked around with discontent, unsatisfied with the state of the real estate industry. Agents worked hard to make sales, only to see their commissions building their broker's business, not their own. The brokerage's rules, regulations and bureaucracy tied them down. Agents were the experts in their markets, but worked in environments that stifled creative and entrepreneurial freedom. Dave believed there was a better way to conduct real estate. In 1973, accompanied by friend and colleague Gail Main (who later became Gail Liniger), he set forth to revolutionize the industry. In Denver, Colo., RE/MAX was born. Dave decided on the name as a shortened version of "Real Estate Maximums" and, inspired by his time in the U.S. Air Force, established the brand's red, white and blue color scheme. Through RE/MAX, the Linigers offered real estate professionals maximum compensation, advanced support services and the freedom to succeed. RE/MAX grew. One agent at a time. One listing at a time. One office at a time. From the onset, commercial practitioners were drawn to the RE/MAX network's entrepreneurial environment and maximum commission concept. Two full-time commercial agents joined in the first year of the network's founding, and the first Certified Commercial Investment Member (CCIM) came aboard in 1977. The relatively stable real estate market of the early- and mid-1970s gave way to high interest rates and the tumultuous investment market of the '80s. Commercial practitioners, working that much harder to close deals, became increasingly frustrated with the restrictions and large commission splits of their offices. Commercial agents had to be smart, flexible and innovative to survive. Working with RE/MAX allowed them to keep more of what they earned, while also tying them to the most progressive name in real estate. An increasing base of residential agents – which grew 900 percent through the decade – generated a stream of quality commercial leads, furthering the advantages of RE/MAX for commercial practitioners. More Training. More Resources. More Focus. The influx of commercial practitioners prompted an increasing need for commercial-specific training and resources. 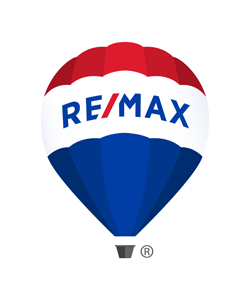 The RE/MAX Commercial brand was officially established in 1990, leveraging the influence of the RE/MAX name and reflecting a commitment and expertise specific to commercial real estate. The early 1990s also brought about the launch of the groundbreaking RE/MAX Satellite Network (which later evolved into RE/MAX University). The timing was perfect for commercial agents capitalizing on a rebounding market. The CCIM designation was among the first designation courses available through RSN, and one of the first to be offered anywhere outside of a classroom. The network's pioneering approach to education gave commercial practitioners even more reason to join RE/MAX. Through the 1990s, the number of commercial agents and CCIM designees grew at an exponential rate. RE/MAX grew internationally, and RE/MAX Commercial followed. Throughout the RE/MAX network, entrepreneurs established commercial-specific and residential/commercial "hybrid" offices in increasing numbers. Into the 2000s, RE/MAX Commercial continued adding tools and strategic alliances, along with the annual RE/MAX Commercial World Symposium, more online training, and commercial-specific networking and educational tracks at the annual RE/MAX R4 Convention. The RE/MAX Commercial commitment to education has resulted in widespread industry respect, with three RE/MAX Commercial brokers serving as President of the CCIM Institute. In 2013, yet another RE/MAX broker will be appointed to the position. Today, some 40 years after the first commercial agent walked through the doors, RE/MAX is still owned and operated by Dave and Gail Liniger at RE/MAX World Headquarters in Denver. RE/MAX Commercial is in more than 45 countries, with 3,000 agents in 380 commercial offices and divisions. Commercial practitioners additionally benefit from the industry's most productive residential referral base, comprising more than 85,000 RE/MAX residential agents in over 80 countries. Supported by unparalleled technology, intensive resources and the competitive advantages of a global brand and referral network, RE/MAX Commercial brokers are among the most productive entrepreneurs in the business. On average, RE/MAX agents close more than $8.3 Billion in commercial volume annually. RE/MAX Commercial has also been named one of the "Top 25 Brokerage Networks" according to Real Estate Investor magazine. Since the beginning, commercial specialists have been drawn to entrepreneurial, agent-focused RE/MAX business model, and the brand's future has never been brighter. RE/MAX continually evaluates its business approach and services to help ensure the success of RE/MAX Commercial Practitioners and the clients they serve. Whatever the property, whatever the transaction, RE/MAX Commercial delivers a level of awareness, trust and confidence that the competition simply can't match. Looking forward, RE/MAX Commercial aims to build upon this advantage and become an even more attractive destination for top commercial practitioners and clients alike. RE/MAX Commercial. A Better Way in Commercial Real Estate.